Gov. Kim Reynolds talks to the owner of Uptown Ivy in downtown Burlington. 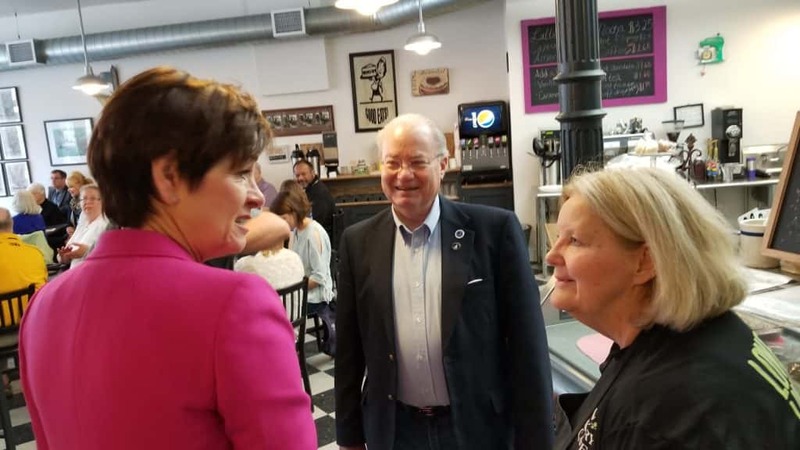 Iowa’s Governor made a stop in Burlington Friday morning as part of her “unleashing opportunity” tour. The Uptown Ivy Bake Shop was packed as Gov. 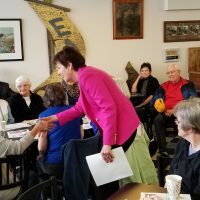 Kim Reynolds and Lt. Gov. Adam Gregg spoke to supporters and critics on numerous topics. Educational funding, tax reform, collective bargaining rights, and mental health were key topics discussed. Around 75 people were in attendance for the event. The tour also included stops in Montrose and Muscatine. A full video is available on the KBUR Facebook page.